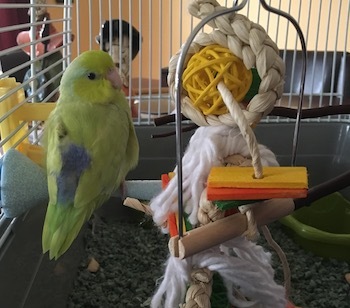 In honor of the latest member of our team, little Kylo the parrotlet whom we adopted today, we are providing information for animal breeders. Is a facebook page enough? What information should you include in your web site? Believe it or not, there are lots of people who don’t have a facebook account. Why limit your audience? Your facebook page may not show up in relevant searches in search engines, like Google, Yahoo!, and Bing. You can embed your facebook posts and twitter feeds into your website. A website allows you greater control over how you present information. A web site builds trust and credibility. Put your animals front and center with organized photo spreads. Tell your story – explain to they visitor why they should trust you. Educate the visitor and establish your reputation as a expert, such as information on animal selection and proper pet care. Provide your visitors with the information they want to know: pet availability, price ranges, conditions of adoption, etc. It may make the difference between someone contacting you, or a nearby competitor. Make it easy for site visitors to contact you and encourage them to do so. Valley Web Design Company can help you through every step of the process. If you have an existing website, we can provide you with an evaluation. We recommend using WordPress for breeder web sites, because we can fully customize it to suit your particular needs, and you will be able to easily add content and pictures in an organized way with minimal effort. We can also provide you with documentation on how to maintain your website.